Instagram is often overlooked as a social media platform due to its nature being entirely ‘images’ based. However, this fact alone is what makes Instagram very powerful – it allows you to convey much more emotion and to really make a product or a lifestyle look desirable. Not only that, but Instagram is the second largest social network behind Facebook. That’s a pretty impressive stat, so you really shouldn’t leave it out of your plans! In 2018, expect more small businesses than ever to jump aboard the Instagram marketing train. The eye-catching format is easy to use, and provides businesses with tools to keep their audiences engaged and informed. New features and toolsets, like Instagram Stories, have also expanded what the platform can do for small business owners. Thanks to Instagram’s powerful advertising tools, evolving features, and highly active audiences, small businesses can use the platform to make big gains. Small businesses have driven huge growth on Instagram. 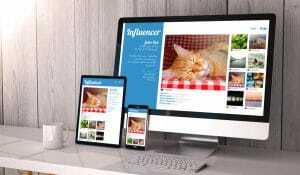 This includes growth of both unpaid organic account posts and paid advertising use. According to Forbes, Instagram now has over 8 million business profiles. The platform saw 500% growth in the number of business accounts in just a few months last year. Instagram execs credit the majority of this growth to small business users. Setting up an account is easy, and it’s also just as simple to begin using paid advertising tools to promote posts. Why are small businesses drawn to Instagram? Because huge audiences login every day, often several times a day. There were over 500 million monthly Instagram users and 300 million daily active users around this time last year. Now, with the advent of features like Instagram Stories, that number has likely soared even higher. 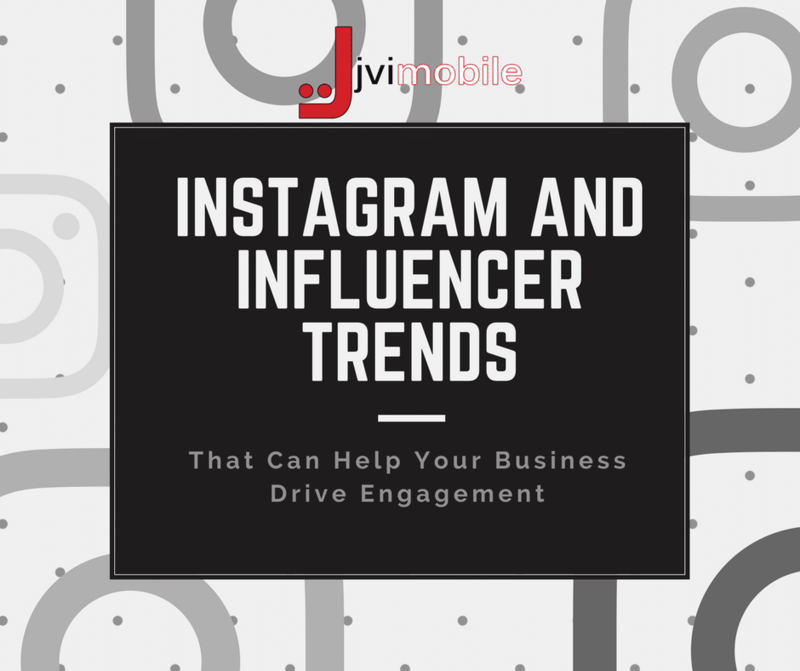 Businesses can therefore use Instagram to get huge reach for their campaigns or fulfill brand awareness goals with just a little bit of effort. Big brands aren’t the only ones who use influencers to achieve marketing goals anymore. 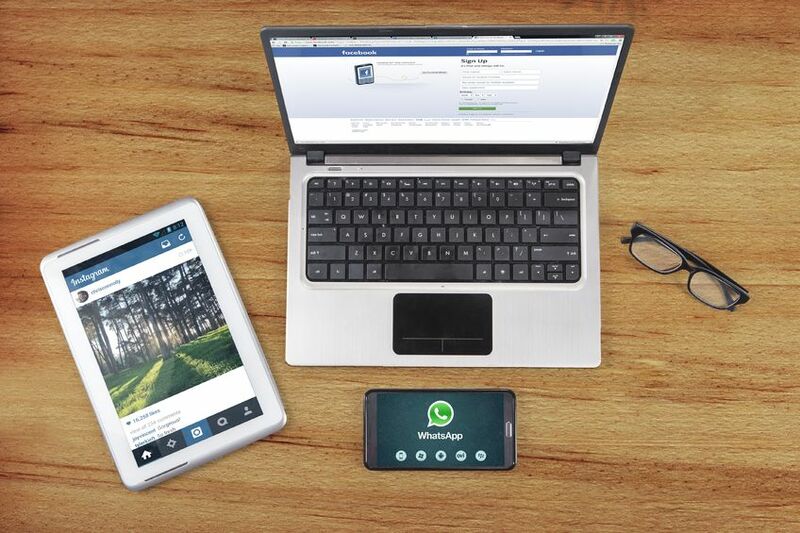 The ability for social media personalities to drive engagement and direct attention can benefit small businesses, too. According to a recent study, 94% of marketers from a range of company sizes found that influencer marketing programs are successful. Because influencers can pique their audience’s interests and motivate action, campaign goals like conversions or product awareness become much easier to achieve. Twitter claims that just under half of social media users trust recommendations and product reviews posted by influencers. That power likely explains why some business owners found that influencer marketing generates 11 times greater ROI than other digital marketing channels. Some influencers with a million plus followers like Michelle Phan have taken on celebrity status. They get invited to red carpet events and appear on mass broadcast TV ads. As these average people become megastars, a clear distinction emerges between them and other influencers. Marketing experts have begun to split influencer types into multiple categories as a result. “Macro-influencers” like Phan, Kim Kardashian and King Bach have millions of followers and a huge range of topics they cover. “Micro-influencers” have a small following of a few hundred to a few thousand people but often follow a much more niche focus. Small businesses have realized that micro-influencers are not only cheaper to work with, but they also drive campaign goals more effectively. Micro-influencers have this power because their audience feels stronger connections and finds the content posted more directly relevant to their interests. You can see this connection in micro-influencer engagement rates. Influencers with less than 1,000 followers can engage 8% of their audience on average, while influencers 10 million+ followers only get “likes” from 1.6% of their audience, and an even lower frequency of comments and shares. Put simply: small business owners can work with micro-influencers to connect more authentically to audiences and drive more consistent action. Most brands generally avoid posting on Instagram more than twice a day, except for on special occasions. Their reasons include diminishing returns and a fear of oversaturating their audience. But, two new Instagram capabilities have begun to change that: stories and live video. Live video can encourage people to watch content for eight times longer compared to pre-recorded video. Instagram stories displays content that gets deleted after 24 hours similarly sparks our love of authentic experiences and our FOMO (fear of missing out). 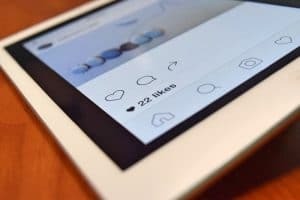 Instagram stories provide a fun and unique way to engage followers and drive traffic to your web- site. Many businesses have yet to adopt Instagram Story as part of their marketing strategy. However, you can be an early adopter and reap the benefits right now. Instagram might have started as a fun mobile app, but it has turned into an extremely valuable and powerful marketing tool for companies that know how to use it. If you create a compelling profile, use hashtags appropriately. Take advantage of new options like Instagram Stories. You can use Instagram to build brand awareness and attract new customers. Businesses interested in driving attention towards certain campaigns or maintaining more active engagement with audiences can turn to Stories and Live video to accomplish these goals. The double-edged sword to influencer marketing is that some brands worry about influencers staining their reputation. Video game streamer PewDiePie, who has the largest YouTube subscriber base of any channel, caused waves after repeatedly using extremely offensive language in his content. Brands that collaborated with PewDiePie had to cut their ties and make statements condemning his actions. Since influencers are not brand employees, business owners invite a bit of risk when they collaborate with them. The best way to avoid controversy is to look to influencers’ past behaviors. Ask questions before collaborating in any capacity. Make it clear that your relationship is dependent on a positive image for your business. Similarly, tie any relationships you have with influencers to concrete KPIs, including ROI. It’s always better to start small with a relationship. After that, establish proof of ROI before committing marketing dollars to a true collaboration. For instance, try sending an influencer a free gift or just a kind request to highlight your latest campaign. If you like what they do with the information, you can work toward more collaborative content or even an endorsement-type relationship. Trends in Instagram and Influencer Marketing for Small Businesses Can Help Your Brand Take Off Next Year! Remember, Instagram is not about instant conversions or links. This is about the long-term benefit, so rate your success in terms of likes, follows and comments – not profit. Likewise, remember that this is a ‘young’ and ‘hip’ crowd. You need to get to know your actual audience, but you should also get to know the Instagram audience more generally. What you’ll find is that Instagram is a place where ‘in your face marketing messages’ don’t go down well. So, don’t do that!